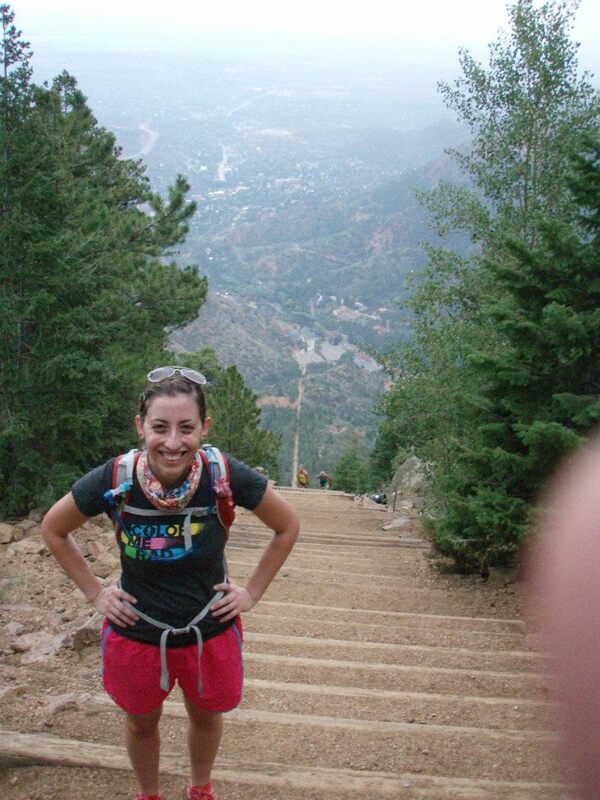 I remember back when Adam first suggested I do the Pikes Peak Ascent, I told him running straight up for over 13 miles at altitude pretty much sounded like my definition of hell. I couldn’t imagine it being enjoyable in any sense of the word, but it did sound like a challenge! I figured if I qualified, I would sign up and didn’t give it much thought. 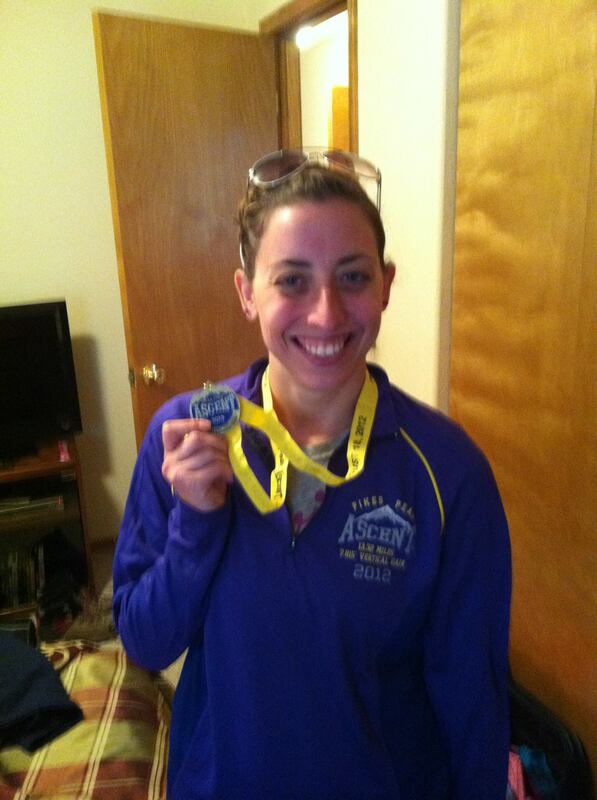 Then I qualified at my first half… and the marathon, and every half after. I was officially committed. 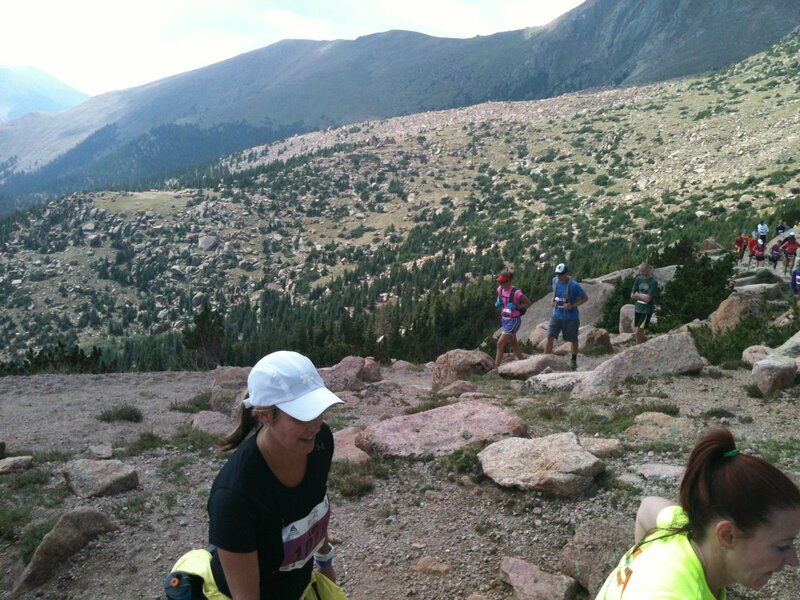 Once the injuries and setbacks started, and I began to seriously question whether I would get through the Ascent within the allotted time (let alone the Ultra Beast!). I didn’t feel like my training had been adequate, and I had serious doubts about making it all the way to the summit without succumbing to altitude sickness… especially when Adam (the superstar) had barely made the time 6.5 hour cutoff last year and didn’t finish due to altitude sickness the year before. I had been sensitive to the altitude on my previous trip to Colorado and at the NorCal Tough Mudder and that was much lower elevation. However, I pleased to find when we arrived in Colorado that I tolerated the elevation change much better this time around… mostly owing I’m sure to the massive quantities of water I was drinking. lol We went hiking everyday to help acclimate and I found my body surprisingly cooperative. My allergies, which normally plague me and interfere with breathing, had dramatically improved thanks to the mountain air. My legs felt great, and the views were absolutely amazing. Despite how good I felt on the trails though, I was still terrified about the race. 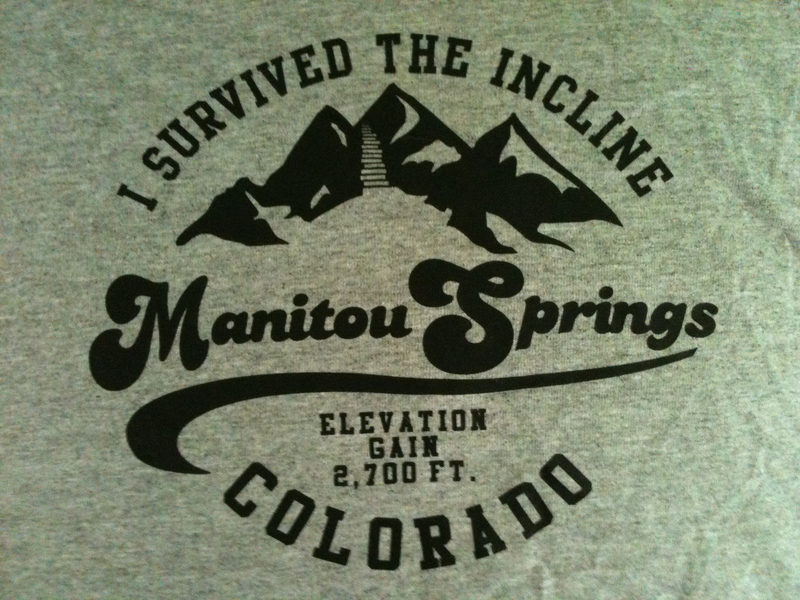 Surviving the Incline trail felt amazing, but still left me with lingering fears about the altitude. I was pretty much counting on being miserable the entire race. I was so nervous about not finishing that I didn’t want to buy anything with the Ascent logo at the race expo for fear of jinxing myself! (I did finally break down and purchase an awesome bright pink jacket- reasoning that if I didn’t finish it would be all the more reason I earned it) The night before the Ascent, I got next to no sleep. 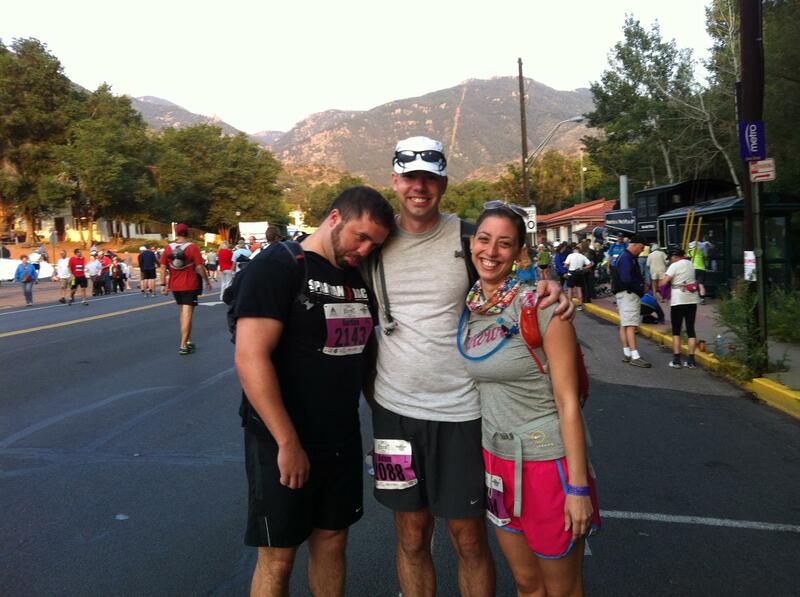 I tossed and turned the entire night, and knew the sleep deprivation wouldn’t bode well during the run. Arriving at the start, I was somewhat relieved that I wouldn’t have to deal with the worry or anticipation for much longer. I had done everything I could to prepare (given the circumstances dealt), and now it was up to the universe to take its course. All I could do is try my best and have faith that things would be okay. The first mile of the race stretched through the streets of Manitou Springs with spectators lining the way. It was immediately an uphill climb and only became steeper as we approached the trail. Before we even reached the trail head, people were already stopping to rest and walking. 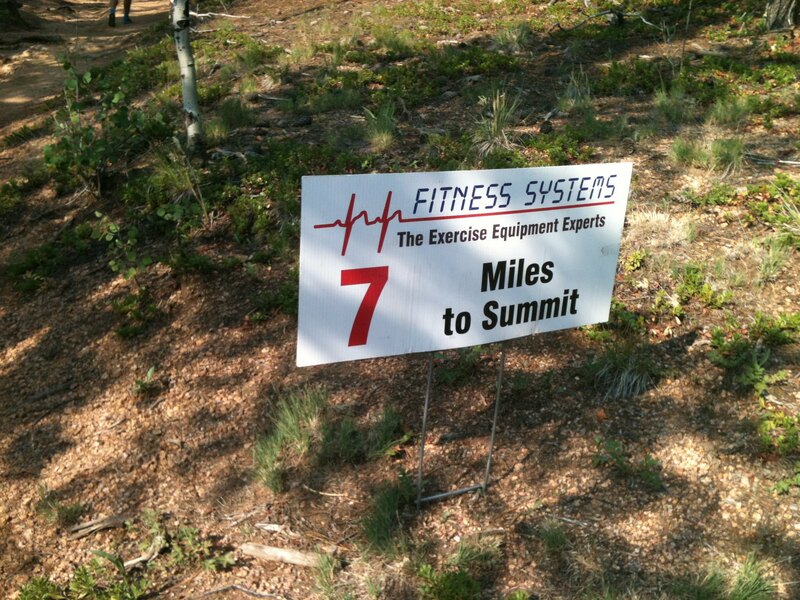 That altitude is no joke and neither was the first steep hill! When we did hit the trail, things seemed to grind to a hault. EVERYONE was walking and there wasn’t much room to pass. People around me were already griping, but I took it as an opportunity to catch my breath. I didn’t have any laufty time goals; I just wanted to finish. I figured if I kept pace with the pack (many of whom were veterans) then I should stay on track to reach the peak in time… even if it meant walking. Eventually the traffic did pick up, particularly whenever a photographer was spotted. I tried to at least jog any stretches that were even remotely flat (or at least not completely vertical!). 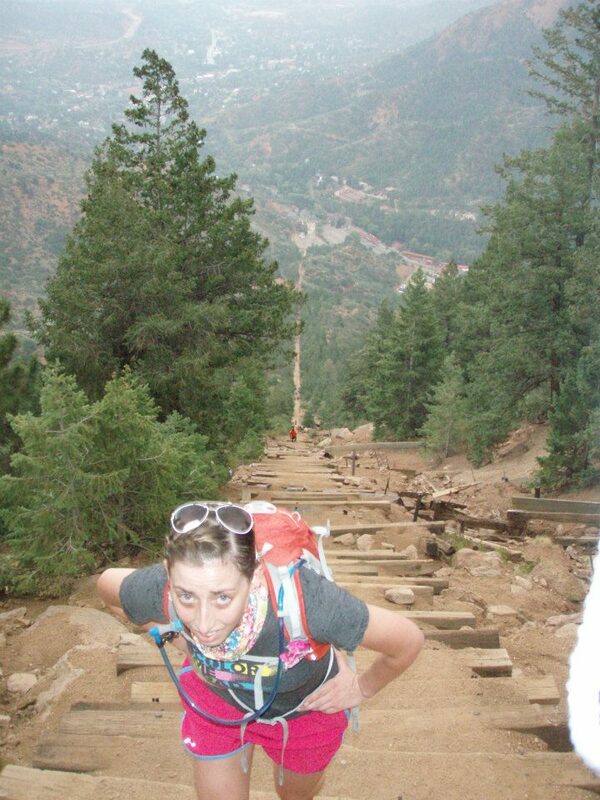 I would use the steeper sections to slow down and control my breathing. Slowly, the miles ticked away. Within a couple hours, we reached Bar Camp just past the halfway mark. The people there were SO NICE and ENCOURAGING. You could tell that they genuinely wanted to help and support the racers. 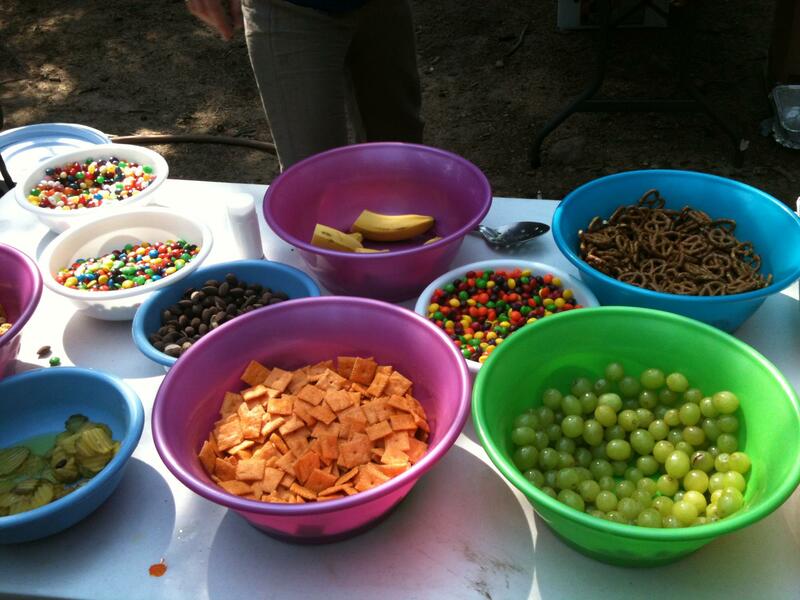 The snack array was nothing short of impressive… anything you could imagine: pretzels, m&ms, skittles, cheese its, grapes, oranges, bananas, pickles, potato chips… it looked like a snack table for a party. The volunteers would literally put the food in your hands and help refill water containers. I tried to eat some skittles (purely out of the excitement of finding them there) but found it was too much work to try to eat and breath at the same time. I only stayed long enough to refill my water and headed back on my way. The mile or two of the trail leading into Bar camp had been close to flat with some gentle ups and downs (the downhills, despite being small and very few in number, confirmed the existence of a benevolent higher power in my mind, and I felt a deep sense of gratitude for every one). It also had widened and was much softer with fewer rocks. I had taken full advantage and burst through most of it (having a tremendous amount of fun in the process! ), arriving in Bar Camp on a bit of a high from the whole experience. I left still in high spirits only to find the 3 miles spanning between Bar Camp and A Frame (the next camp) to be absolute HELL. The problem: intense sun with no shade, dizziness from the altitude, and nausea- making drinking difficult and eating near impossible. I became so dizzy and uncoordinated that there were times I thought I was going to fall off the side of the mountain. I knew I needed to eat, but couldn’t get anything down. Chewing meant not being able to take controlled breaths, and by that point eating while still moving was out of the question. I tried my best to keep drinking and kept pushing forward, focusing on every step to keep from losing balance or falling over. I knew if I stopped and ate I wold feel better, but I was afraid to rest before A Frame. I wanted to make sure I got there within the 4 hour cutoff and knew if I could just make it there I could eat and take a rest. That stretch seemed to last FOREVER. I’m sure my pace suffered dramatically because I was so sleepy I truly could have curled up and slept right on the side of the trail. I had to work hard at staying focused and tried to concentrate solely on putting one foot in front of the other. It was painstakingly slow progress. Every mile seemed to take longer than the last. I couldn’t imagine how I would ever make it to the summit feeling the way I did. I was overheated, starving, nauseated, exhausted, and likely hypoxic. Then finally in the distance I could hear cheering and cowbells. I had no concept of how far away they were given how far sound can travel when you’re up that high, but I clung to the hope it was close! After what seemed like an eternity we arrived at A Frame. Again the staff were wonderful beyond words. They congratulated us on making it ahead of the cut off and offered another spread of every snack you could imagine. For the first time since the race started, I took a seat on some grass and stuffed some cliff bloks down. I rested only long enough to eat and check my time and then headed back out. On my phone I had a text from Adam that he had arrived at A Frame 30 min ahead of me, He also texted “I love you”, which cheesy as it sounds was exactly what I need to hear (or read). I knew if I was only 30 min behind Adam that I was actually making good time; and while I didn’t feel terrific, I did feel better than prior to arriving at camp. Shortly passed A frame, we traveled above the tree line and the view became SPECTACULAR. I took a moment to enjoy it and take a picture (luckily I had just enough battery left on my phone… which only lasted to mile 11, likely from searching for signal the whole way). I couldn’t help but think of what an amazing experience it was. I could understand now why Adam came back year after year to endure the torture. I can’t explain in words what it feels like to run/hike that high, push your body beyond your perceived limit, and then come across a view like that. It was like nothing I had ever seen or experienced. The last few miles consisted of narrow, steep, rocky switchbacks. By this point I really needed to pee and the cold air didn’t help. As spectacular as the view was, all I could focus on was being finished! I knew we were getting close, but the end still seemed like it would never come. Before long, we were up so high I couldn’t look out at the view anymore without getting dizzy (especially being so close to the edge on a narrow trail). There was one more aid station before the finish, but there were also race supporters scattered throughout cheering us on and letting us know how little there was left to go. At one point I looked down and noticed my hands were blue and realized just how cold it had become. I had trouble getting my gloves on because they were sore and swollen. Then, what felt like immediately after, the sun came back out and it got hot again. We weaved back and forth, higher and higher until we could hear the cheers at the finish. Once I could see the finish line, I tried to sprint as much as possible, but it was difficult with the crowding and terrain. As I hurled myself up the last switchback a guy at the summit yelled “You’re like a cheetah! A MOUNTAIN CHEETAH!” I was so focused on finishing, I didn’t even see my time when I crossed. I had hoping to finish within 6 hours, which is the qualifying time for the marathon. However, I was pleasantly surprised to find out my time was 5:09. I think I surprised Adam, who expected me to take longer. I told him my Ultra Beast Training most have been paying off after all. Once at the summit I quickly retrieved my sweats (it was FREEZING up there!) and was happy to finally enjoy some the variety of snacks. For the record, they were the most delicious pretzels and skittles of my life! I even got to enjoy a hot cup of hot chocolate Adam’s dad purchased for me while we waited for Adam’s roommate… and I have to say it was pretty delicious too. It was definitely well appreciated, as was the huge hug he gave me when he found me at the summit. As it turns out, Adam’s parents had arrived after we finished expecting it to take us longer. They were pleasantly surprised to find us already waiting at the top. As part of my preparation for the Pikes Peak Ascent, Adam (yes, Adam and I did the Ascent together along with his roommate) and I decided to take on the Manitou Incline trail. The trail boasts 2,700 ft in elevation gain ( starting at 6530 ft and at ending 8550 ft) over it’s one mile span… in other words it’s one steep B!t@H of a climb! It’s a bit of an intimidating sight, even from a distance. To say I was nervous would be a gross understatement. 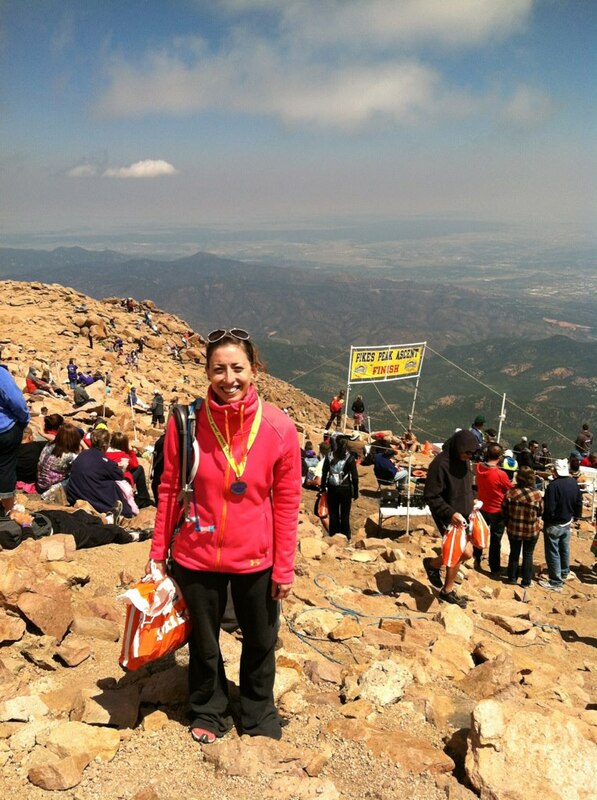 All I could think about was the altitude sickness I had during the Norcal Tough Mudder, and that wasn’t even that high! 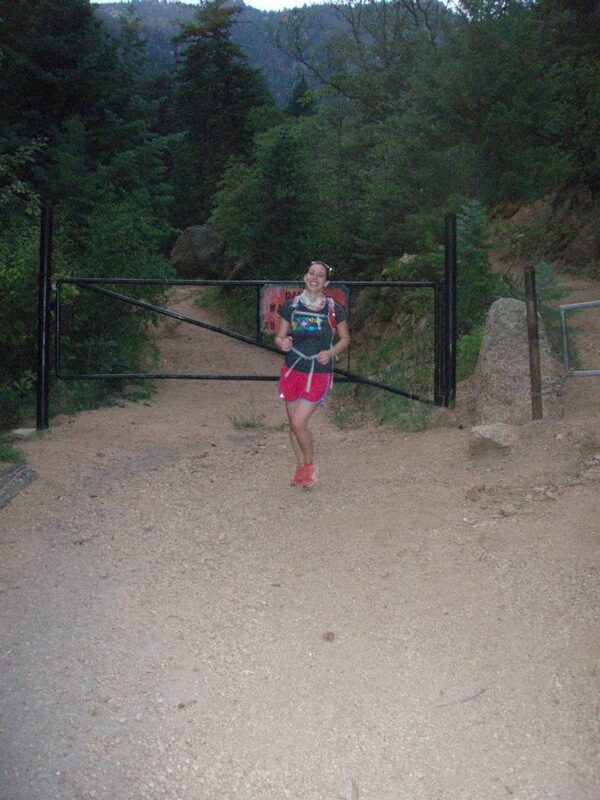 When we arrived at the trail head- complete with no trespassing sign (yup! that’s right, it’s illegal… but still one of the most popular trails) the route only looked more fightening. Standing at the bottom, the trail extends straight up with no end in sight… literally. It’s hard to believe it’s only less than a mile long when you can’t even see the finish at the start! Once we started the climb, it became quickly apparent why it’s still illegal, namely it’s anything but safe! The Cog Railway that used to run there was shut down in 1990 due to damage from frequent rockslides, and it doesn’t appear much has changed. The old railway ties are still there, but at many points they are heaved in odd directions with gaping holes in between- making it pretty clear why traffic only moves in the upward direction. The trail started with a moderate incline, but before we even hit the halfway mark, it turned nearly vertical requiring both hands and feet to climb it “safely”- no small task when your lungs are already screaming for air! To complete the torture, it started to rain. I was only slightly comforted by the misery on the faces of the people around us, and let me tell you- it was crowded in spite of the rain! Even the people who passed us appeared to be heaving for their next breath. I didn’t spot a single person running or even jogging. Instead, it looked like a slow death march with several people not even moving at any given time. At first I tried not to stop at all, but I was so dizzy from the attitude I was becoming terribly uncoordinated. I started resting whenever I felt palpitations or my head started spinning, and that seemed to help. I was SO MISERABLE!!! It is truly uncomfortable to feel like you can’t breath and then not have enough oxygen in your system. It makes you dizzy, nauseated, and extremely uncoordinated… not to mention anxious! Every second at spent at altitude gave me a real appreciation of what asthmatics everywhere struggle with on a daily basis. I wanted so badly for it to be over and had to work EXTREMELY hard to keep my nerves in check. At one point I asked Adam “Am I supposed to feel like I’m about to die?” (I think my chest felt like it was about to literally explode at that moment..) He said “Yea, pretty much”; and that was all I needed to hear. I kept telling myself “this is normal” and the only way to make it stop was to reach the top. Quitting was NOT AN OPTION. When we reached the halfway point (also called the “bailout point” where hikers can catch the Bar trail and head back down), Adam gave me the option of heading back. I told him I refused to quit and kept pushing onward and upward. Then, eventually, we FINALLY reached the top of the “false summit”, and I could see the top. I was so elated!!! It seemed like it had taken FOREVER, and for a while I had thought it would never end! Now I was just feet away from the summit! If I had been able to sprint the last of it I would have, but my lungs were so starved for oxygen I had to pause another 2 or 3 times to keep my heart rate in check. I made it though; and I think Adam was surprised (he clearly doesn’t know me very well!). He said he thought I might turn around because of the rain… I think he just underestimated how unwilling I am to give up! Conquering that trail made me equally confident and terrified of taking on the Ascent. I was excited that I was able to push through the MOST UNCOMFORTABLE “RUNNING” EXPERIENCE OF MY LIFE; but also scared to death that the Ascent would be even worse. Regardless, I still basked in the glory of the moment. It was the first physical accomplishment I had achieved in a long while. Accomplishing it after all the injuries and setbacks made it that much sweeter. My legs didn’t even feel tired at the top (probably because I was too busy struggling for air), and that made me feel like all my Ultra BEast Training might actually be paying off. The icing on the cake was without a doubt the run back down! I had SO MUCH FUN bouncing from side to side, from rock to rock, and back and forth across the trail in my awesome new Inov8’s!!! 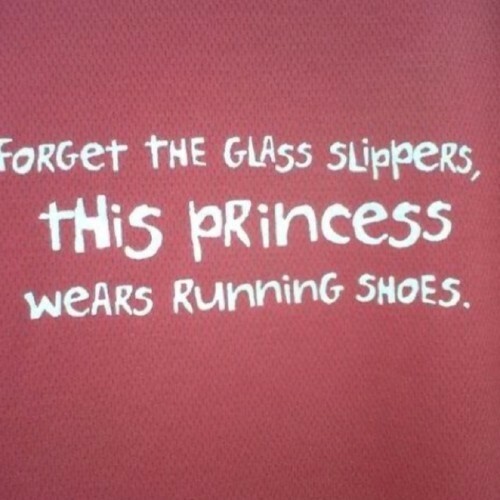 “The right shoes can make all the difference in the world. Hello fellow bloggers (especially my blog buddies)! I have been neglectful in my updates recently, so I have A LOT to catch up on. You may also have noticed that my blog appearance has been changing as I am in the process of a major overhaul and update Once I get things in order, I am hoping to get back into the habit of blogging more regularly… of course with the Ultra Beast looming it may be a few more weeks before that happens. Anyway, I wanted to take this time to say how much I have missed my little blogging community and catch everyone up on my exciting adventures in Colorado. Before heading out to Colorado for the Ascent, I was starting to really stress about the trail shoe situation. As you already know, I had recently bought a pair of trail shoes that didn’t exactly live up to expectations. After some serious blisters and several attempts at running in them, I decided to look into other options. I was in a bit of a panic (with the Ascent just over a week away) when I came across a review from Dirt in Your Skirt on the Inov 8 X Talons. 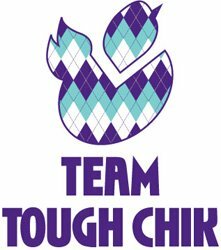 For those of you unfamiliar with Margaret Schlachter- she is a super star in the world of obstacle racing and her blog is equally both entertaining and informative. She is also one of my many idols in the Spartan Chicked Community! 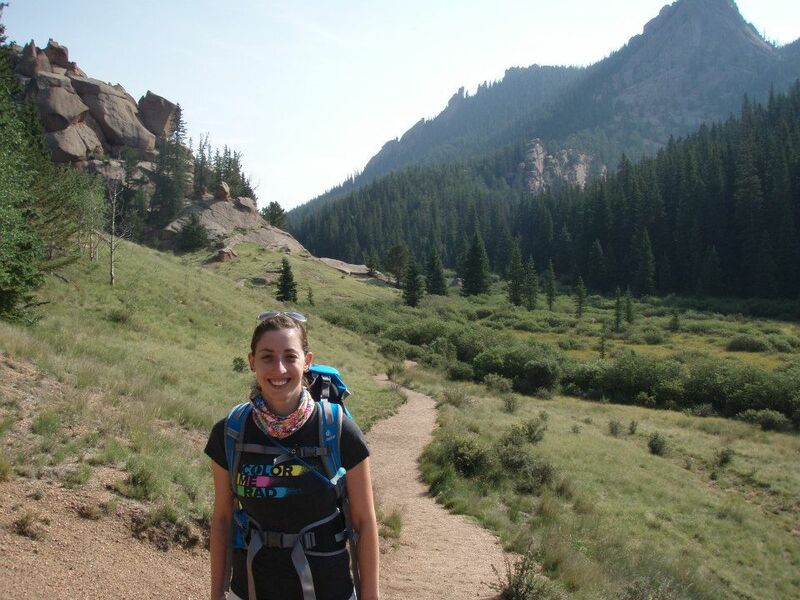 She described how the Inov 8’s were the perfect combination of minimalist shoe and traction. 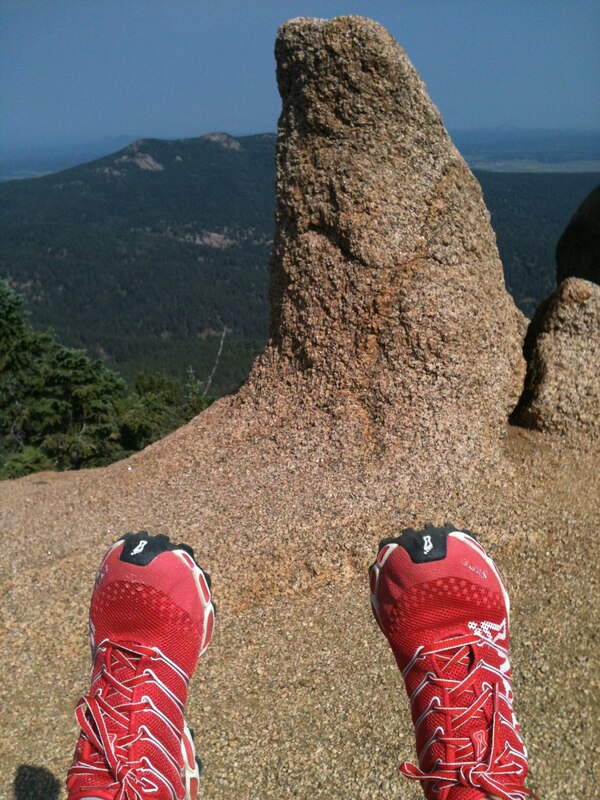 As much as I LOVE my Vibrams, they have zero traction and are not great for really rocky terrain (ie. blood blisters). The Inov 8s, meanwhile, have a sole made from the material used for climbing shoes and deep treads. So, after a highly disappointing trip to a local retailer (BTW there are only 4 in CT and NONE close by), I ended up calling the Boulder Running Company. The girl I spoke to on the phone not only knew the shoe I was looking for, but actually used them- a far cry from the crotchety old salesman I dealt with! She said they had the exact pair I was looking for in my size, and even better: They were ON SALE!!!!! I was super excited and stopped at their store immediately when I arrived in Colorado. The staff was super friendly and the shoes felt great. They even let me take them for a test run outside. The treads had such great grip that they felt sticky on the concrete. (hence why I call them my “spiderman shoes”) The fact that they were bright red was just an added bonus. They fit so perfectly- it was as if someone had designed them just for me! The next morning I took them for a short (3 mile) test run and was impressed that I didn’t even feel my blisters. They were SO COMFORTABLE; I had no issue breaking them in whatsoever. In fact, I wore them EVERYWHERE in Colorado because they were the only thing I could put on that didn’t bother my blisters. I love them so much that I may even get another pair of the regular ones for work/everyday use! I never thought I could find another pair of shoes that would feel as natural to run in as my vibrams. The other trail shoes I tried had felt so heavy and bulky, but these were light and thin enough that I could easily feel the terrain beneath my feet. I am definitely looking forward to testing them out on the trails near home!